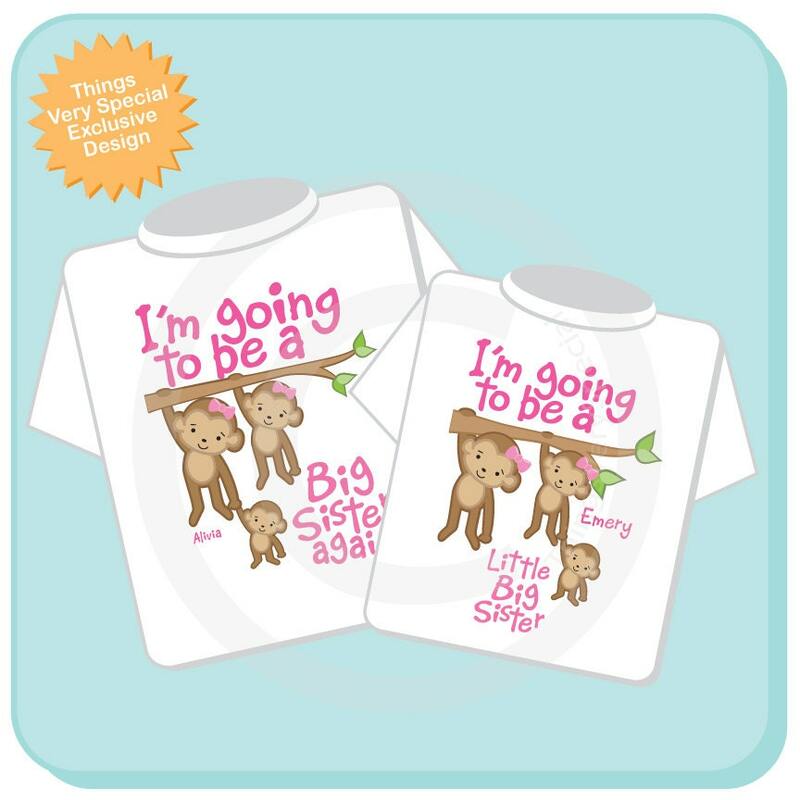 I'm going to be a Big Sister Again and Little Big Sister Monkey Shirt or Gerber Onesie set of two. 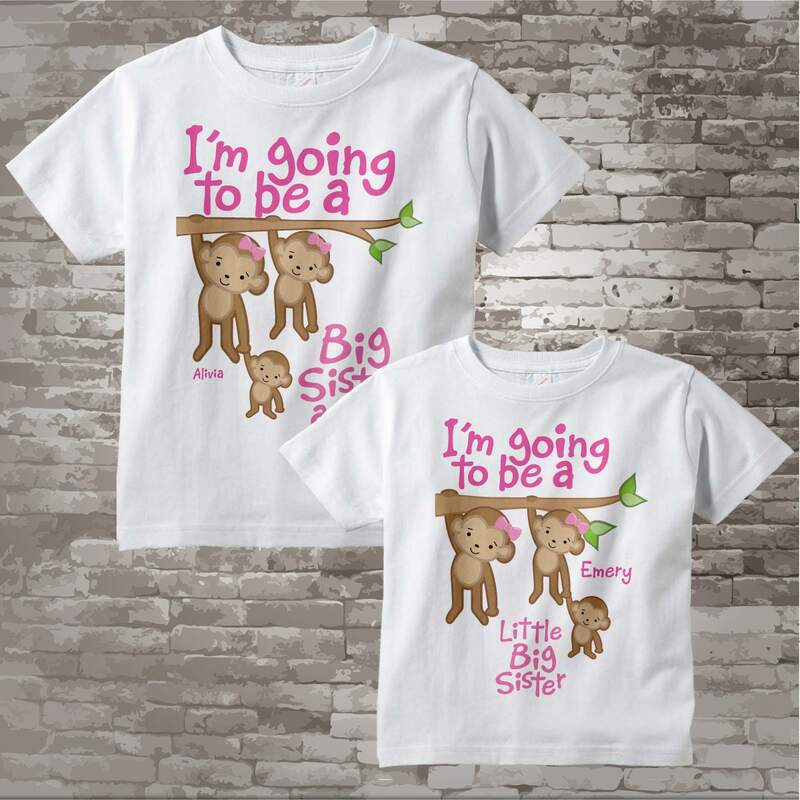 Super cute Personalized Big Sister Again tee shirt with awesome Biggest Sister Monkey, Middle sister and Little baby non gender specific Monkey and little big sister shirt or Onesie with three monkeys. If you want the little monkey to be a girl let me know and I'll add a bow to the baby's head as well. The shirts turned out perfect and arrived very quickly! Thank you! Great product! So cute and fast delivery!